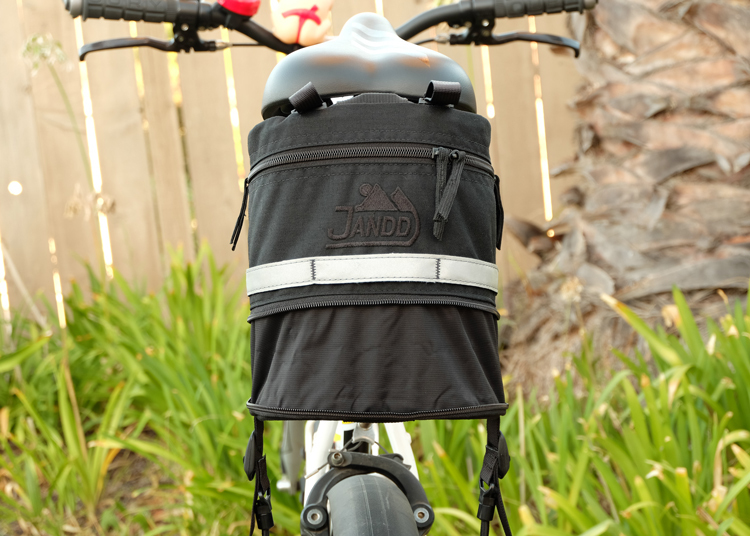 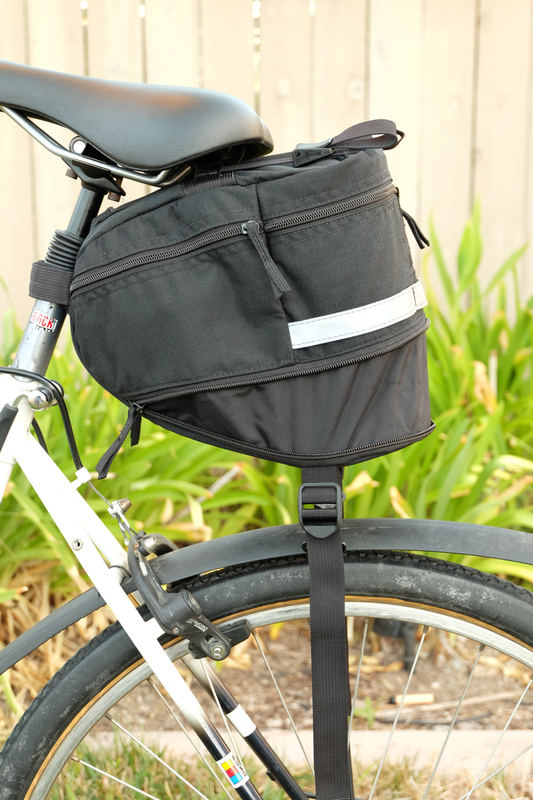 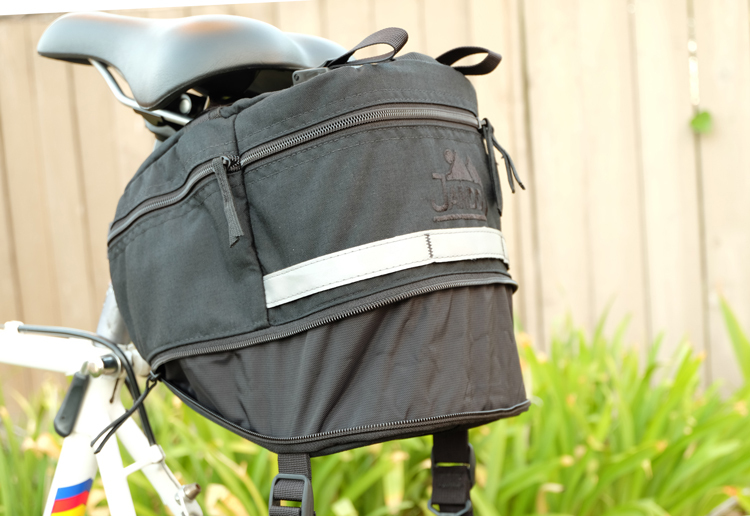 Description: The Mountain Wedge III was designed for the rider who needs the capacity of a Jandd Rack Pac but doesn't want to bear the weight and cost of a rack. 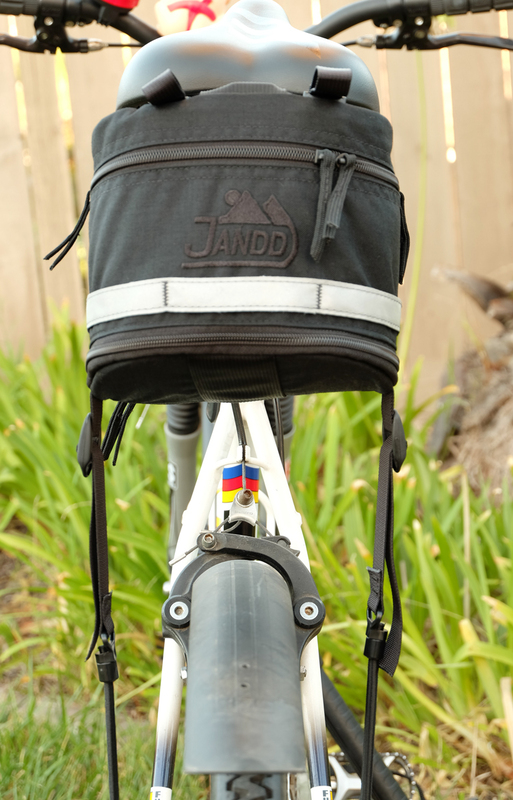 The five-point suspension starts with a hook-and-loop seat post strap; two webbing and cam buckle straps secure the bag to the seat rails. 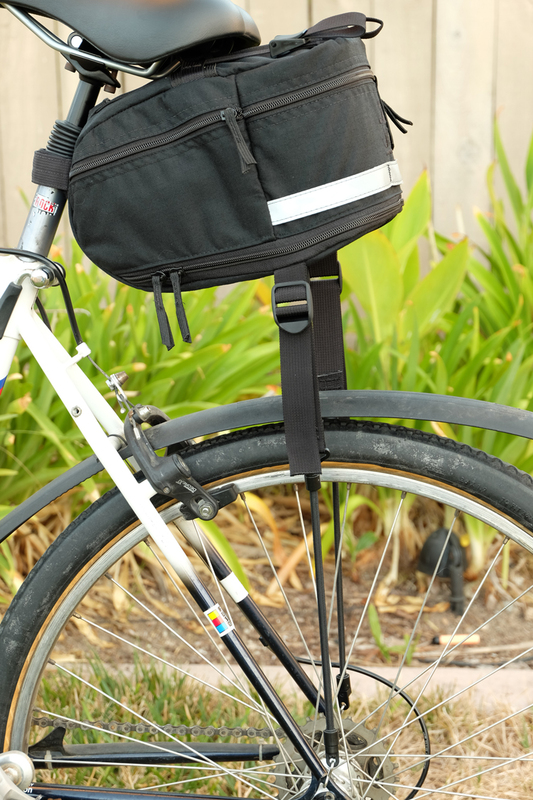 For added stability, two bungees fix the bottom to the rear braze-ons. 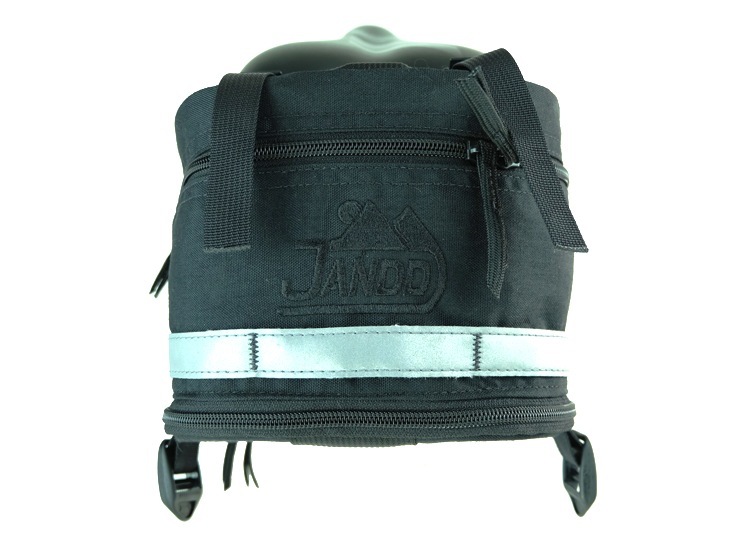 There is an HDPE stiffener around the entire bag, and an aluminum alloy stay that runs across the top of the bag to eliminate sag or sway. 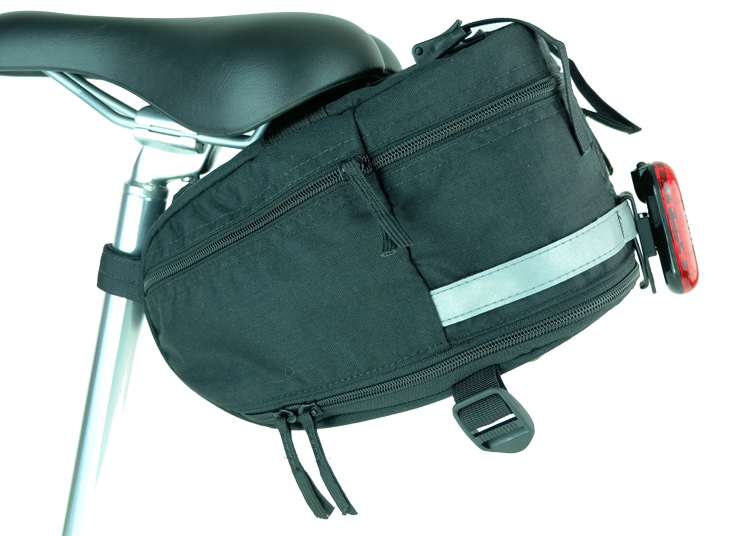 The two side pockets bellow into the bag for extra room, while maintaining a narrow profile on the outside of the bag. 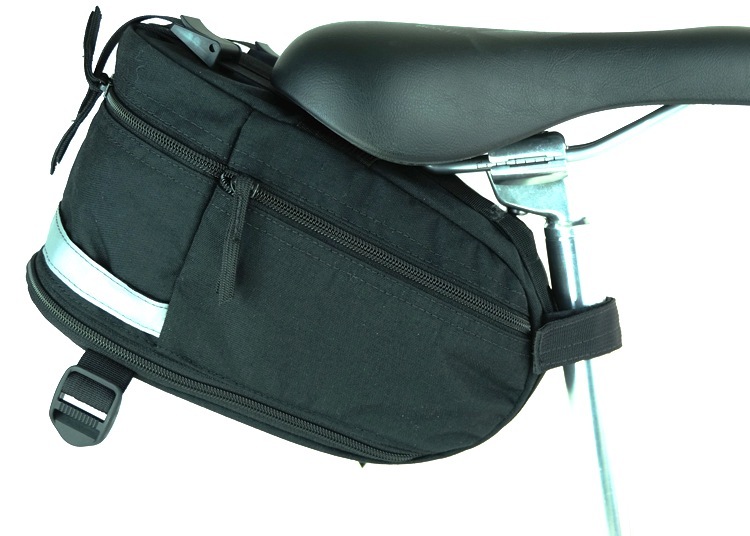 FAQ: Does this pack have to be mounted with the bungees attached to the chain stay or will the seat post and seat rails be sufficient? 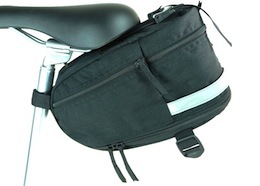 Answer: No, the pack works fine without them.